This is one of the few major city parks in Istanbul, and a good place for running, in the area between Dolmabahce and Nisantasi. 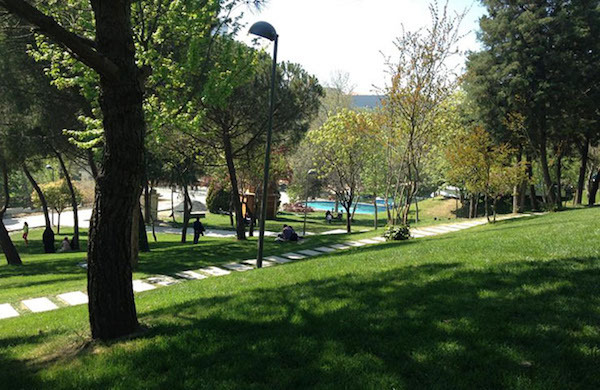 Maçka Park consists of a series of mainly gravel paths, with a route around the perimeter of about 2.4 km (1.5 miles). This is also a tony part of Istanbul, with major hotels in the area, including a Hilton, Hyatt, and Swissotel. 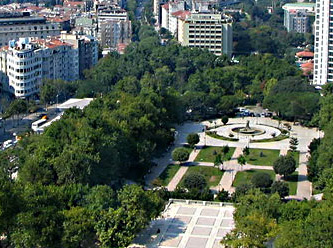 A great loop is to start at Taksim Square and run through small and beautiful Gezi Park, a stately spot with beautiful trees (and site of major protests in 2013). Run through the park and along the paths, passing the Gondola station, into Maçka Park, with Vodafone Stadium just to your south, and enjoy a perimeter path around the paths. Note that there’s sort of a lower and upper section of the park, and a gondola (Teleferik) passes from two stations outside the park and a location in the park.